Learn how to grow neem tree from stem branch cuttings, air layering and seeds in easy to follow steps. You can grow neem tree in Sydney, Australia as I am growing. There are a few nurseries in Sydney which sell small neem trees. The neem tree (Azadirachta indica), an evergreen tree is a native of Indian subcontinent. It is an extraordinarily hardy tree which can live up to 200 years. All parts of the neem tree possess antiviral, antifungal, and antibacterial properties. The seeds, leaves, bark and stems of the neem tree are used in medicinal, cosmetic and insecticidal products . In India you can find neem trees everywhere on roads, parks or homes. I was very interested in having a neem plant in my garden in Sydney to keep the insects away. Also I wanted to make organic sprays for my plants. I looked around to find a neem tree to get its seeds and branch cuttings, but could not find any. Neem trees grow well in a tropical to subtropical climate. It can be grown in USDA hardiness zones (neem tree growing zones) 9 through 12. The best time to grow neem plant from cutting or seed is when the temperature is more than 20 °C (68 °F), which is best suited for germination of neem seed. if the temperature in your area is low, then start your neem seeds indoors to germinate. The neem seeds germinate quickly and reliably with a high germination rate. No wonder, the seed planting is the most common way to propagate a neem tree. Neem tree can easily be propagated from seeds, provided the seeds are fresh. The neem seeds are short-lived, viable for a period of only 10–12 days from the date of collection [2, 3]. I ordered 50 Indian neem seeds; they arrived by air mail after 10 days. The seeds were not fully dried out but appeared quite old. I could not germinate any of these seeds. I tried to germinate the whole seeds with or without their shells, by soaking them from 1 to 3 days in cold as well as warm water, and also by putting them in damp kitchen towel. But none of the seeds could germinate even in 6 months. Finally I could get fresh neem seeds after 6 days of their removal from the tree, which I could germinate successfully. The weather became quite cold, so I had to put the pots indoors for germination. Due to changing weather daily, I had to move the pots outdoor and indoor quite often. The conclusion, the old neem tree seeds do not germinate, similar to the seeds of sweet neem (Curry leaf plant). The older the neem seed, more difficult to germinate it; also the lower the temperature, longer the time to germinate. If collecting from a neem tree, collect the freshly fallen fruit or take some ripe fruits (yellow color) which are not firm. Do not buy completely dry seeds, they will not germinate. Buy only recently harvested seeds. Neem seeds do not need any pre-treatment before planting. Take the fully ripe neem fruit and squeeze out the seed (remove the pulp) and use for planting. Fill a pot with a very good quality free-draining potting mix, plant the neem seed horizontally or pointed side down and cover it with half to one inch of the potting mix. Put the pot in a warm and bright place and keep the soil moist. Neem seeds will germinate within 2-4 weeks depending on the age of the seed and the temperature. The seeds need a temperature between 20 and 25 °C (68 and 77 °F) to germinate well. The cooler the temperature, the longer the neem seed will take to germinate.. I started a few neem seeds in Sydney, the temperature for most of the time was less than 20 °C during the day, so I kept the seed pot indoors in a warm place. The seeds germinated successfully. You can germinate more than one seed in the same pot and later carefully separate the seedlings and replant them. But whatever pot size you take, it should have several holes at the bottom to allow soil to drain excess water quickly. You can propagate neem tree from branches if you cannot get the fresh neem seeds. You can grow a new neem tree from a softwood or hardwood branch cutting. Hardwood neem cutting means select a year old branch, while softwood cutting means growing tip of the branch. With great difficulty, I could find a neem tree in Sydney. I took some cuttings that I propagated successfully. Select the newly growing tips or a year old branches, and take about 7-8 inch long and less than a pencil thick cuttings. Place the cuttings in clean water while you prepare for planting. Free draining propagating media is needed to propagate neem from cutting. I mix 3 parts washed coarse river sand or perlite with 1 part potting mix. Take a small pot if you are planting a single neem cutting with many holes at the bottom or take a larger pot for rooting 4-5 cuttings together. Fill the pot with the rooting media and water thoroughly, turning the soil to ensure that the soil is wet at all places. Keep the pot in shade for half an hour to drain all the excess water. Now is the time to prepare the cuttings. Take one cutting and remove all of its leaves leaving the top 2 leaves which you cut into half. Apply rooting hormone at the lower 1 inch end, and tap off the extra hormone. You can use a commercial rooting hormone or a homemade hormone using honey, aspirin or cinnamon. Insert a stick in the soil down to about 1 inch from the bottom. Take out the stick and insert the prepared cutting in the hole and press the soil around it. Similarly plant all the cuttings. DO NOT WATER AGAIN. Put the pot in a clear polythene bag and tie it at the top. This will trap the moisture inside the bag and keep a high humid environment necessary for rooting. In 3-6 weeks, new growth will emerge. Open the bag and just tuck the cutting with hand, if it offers resistance, that means that the roots are there. If not, mist the soil and tie the bag again. You may also see some roots emerging from the bottom holes of the pot. When some leaves are formed, open the bag for half day only for next 3 days. Then take out the pot and place it in partial shade for several weeks. You may try to root the neem branches in water. Just put the prepared cuttings as mentioned above and dip their lower 1 inch in water in a pot. Keep the pot in shade. Change the water every 3-4 days. New roots will emerge in 2-4 months time. Mature neem trees produce a large number of root suckers (seedlings) under its canopy. In early winter, you can cut sections of these roots, about 1/4 thick and 2 to 4 inches long and plant them into rooting medium. New neem can also be grown by air layering method in which new growth of roots are stimulated from a stem while it is still attached to the parent plant . Choose a 1-2 inch thick branch and remove all the bark layer around 1 inch long stem. Cover the exposed stem (without the bark) with moist sphagnum and wrap a plastic sheet around to seal in the moisture. New roots and growth will form in 2-3 months. Cut the stem just below the roots and transplant. Whether you grow neem from seed, cutting, root cutting or by air layering method, keep the prepared seedlings and rooted cuttings in partial shade for 2-3 months. Slowly expose to them to full sun. Plant the tree in permanent locations when it is 1 meter tall. While growing neem tree from seeds is easiest method and quick, but it needs fresh ripen neem fruits. The rooting of cuttings in soil is very successful method with high success rate, almost 100%. I do not see any advantage of propagating in water as it takes a long time to root, however, it does not need rooting hormone. The neem tree grown from the seed will not be the true copy of the parent plant, but that rooted from other methods, viz. from cuttings and by layering will be the true clone of the parent plant. The growing conditions for neem tree are similar to the trees grown in tropical climate. The neem tree loves tropical to subtropical climate. 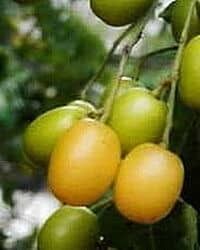 It thrives in hot weather and can grow in temperatures up to 50°C (120F), but it will not tolerate cold weathers below 5°C (35F), specially young trees. The younger tree are more vulnerable to cold weather. My one year old young neem tree in Sydney dropped all the leaves during the first winter. Temperature: Summer is the growth time for the neem tree. The tree loves sunlight and high temperature. The growth rate will be highest in summers, however, it will grow as big as the size of pot allows. Watering: Water only if the top 1 inch soil feels dry. If growing in pot, the tree will need watering daily in summer. However, over-watering will harm the neem tree due to fungus and root rot. Indoors: If you are keeping your neem plant indoors, then you may notice the wilting of the leaves if you are heating your house. It will be good to mist the leaves frequently. Place the tree indoors where it can receive maximum light. Growing neem tree in a pot: Take a large pot as large as possible. The size of the pot will restrict the growth of the tree. You may re-pot the tree if you notice roots coming out the pot from the drainage holes. Care in Winter: In winter the tree may not withstand the low temperatures, you may have to shift the tree indoors if it is growing in a pot. The neem tree goes dormant during winter, it needs less watering. if the tree is growing outdoors in ground, then you can cover the tree with old blankets. Or you can put Christmas light around tree branches to provide some warmth. Neem Tree Growth rate: The neem tree grows slowly during its first year, then grows very fast under proper conditions of light and temperature. The neem tree will produce the first fruit after three to five years. In India, the neem tree has leaf growth during May to November (Summer to Pre-winter). In winter, leaves may drop . The neem trees flower from March to May. The neem trees fruiting start in May and June in the arid and semi-arid areas, whereas in the other regions it from April and July. The neem fruit matures in June in the arid region, whereas in other regions the seeds are formed up to September. In most regions, June-July is the best time for seed collection. These two trees are similar in appearance, but in fact they are different. Azadirachta indica is neem tree which is evergreen, while Melia Azadirachta is a deciduous tree which is commonly known as chinaberry tree, Indian lilac, Pride of India bead-tree, Cape lilac syringa berrytree, Persian lilac, etc. The neem tree fruit has one seed about 15 mm in diameter, while Chinaberry has multiple oblong 3 to 6 seeds, 3.5 mm x 1.6 mm. Azadirachta indica has white flowers and the Melia azedarach has purple or lilac colored flowers. Rajiv Rai (1996), To study the efficacy of different nursery raising techniques in neem (Azadirachta indica), Journal of Tropical Forestry 12 (4): 183–88. Read MD & French, JH (eds) (1993), Genetic improvement of neem: strategy for the future, Proceedings of the International Consultation on Neem Improvement held at Kasetsart University, Bankok, Thailand, January 1993, Winrock International, Bankok, Thailand. Kumar, Kishan and Arrawatia, M.L. (1999), Leafing, flowering and fruiting of Azadirachta indica (NEEM) in India. Journal of Tropical Forest Science, 11, 723-730.